Everyone has questions when they go to the dentist, take a look at the most frequently asked questions (FAQ) from our list, to see if they offer the answer you are looking for. If you can’t find the answer you are looking for, please give our Front Office Coordinators a call and they will assist you with your inquiry. If you have a problem, then we are here to help! We keep convenient appointments every day especially for people who have a dental emergency. So whether it’s a toothache or a broken tooth or any other concern you have about your mouth, just give us a call for same day appointments. If you require emergency treatment then please do not hesitate to call us. Our office hours are 8.30am to 5pm Monday to Friday. To change an appointment just call one of our friendly Front Office Coordinators on 54446166. We need at least 48 hours notice if you wish to cancel your appointment. This gives us the opportunity to give that appointment to one of the patients on our priority waiting list, and find a more suitable appointment for you. Our practice is at 146 Karawatha Drive, Mountain Creek – on the roundabout at the corner of Golf Links Road and Karawatha Drive and across the road from the Mountain Creek Medical Centre and Woolworths. Car parking is available which can be entered from Golf Links Road. We always aim to be on time for your appointment, so please be here at least 10 minutes early. Our premises are wheelchair friendly. From the carpark to the dental chair we can accommodate wheelchairs, motorised scooter and are walking frame friendly. We require payment at the time of your dental visit. We accept cash, EFTPOS, Visa, or MasterCard. If you are a member of a Health Fund covering dental then be sure to bring your health fund card. We can claim directly from your fund for you using HICAPS; conveniently you then need only pay us any outstanding balance. 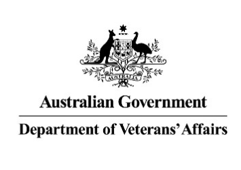 We also happy to see Veteran Affairs patients – just remember to bring your DVA card for billing purposes. More Smiles supports the Child Dental Benefits scheme. Remember to advise the Front Office Coordinator when making your appointment and on arrival so we can check your child’s eligibility. More Smiles is proud to be one of the first dental practices in Queensland to undergo Dental Practice Accreditation through the Australian Dental Association. While it is not compulsory to undergo accreditation, More Smiles felt that this would show our commitment to maintaining the highest standards of care in the practice. If you would like to learn more about this extensive process, click on the link below. Do you get nervous just thinking about a trip to the dentist? We understand … we really do. The dentists at More Smiles each have many years’ experience in treating people who suffer from dental anxiety. And you never know …. You might be worrying unnecessarily – with the many advances in dentistry, diagnosis and treatment is more sophisticated and comfortable than ever before. Nevertheless, here at More Smiles we invite you to share your concerns with us because if you’re tense or anxious, then we are here to help. Firstly, don’t hesitate to let us know how you are feeling so we can work with you to ensure you are comfortable. Schedule your appointment with us when you are not rushed or stressed – first thing in the morning is always good as you are fresh and have not been thinking about your visit for a whole day. This will also be the best time to talk to the dentist about your concerns. There are a number of ways the dental staff can make your visit as easy as possible for you, and we will be happy to talk about this with you. And for those who need it, we are happy to perform your dental work while you sleep in conjunction with the Sunshine Cost Private Hospital facility. So make an appointment today with the caring dentists at More Smiles to talk about your concerns. Our aim is always to make you as comfortable as possible – together we can make your treatment as comfortable as possible. You never know – you might even end up liking the dentist! Do You Have Laughing Gas? Yes, we do! For patients, both adults and children who need a bit extra to help them feel relaxed we offer nitrous oxide – ‘gas’, or ‘laughing gas’. We couldn’t have said it better ourselves! If you think this may help you then ask your More Smiles dentist about having laughing gas for your dental treatment. We will need to allow extra time for this during your appointment so we will need to know in advance that this suitable for you.